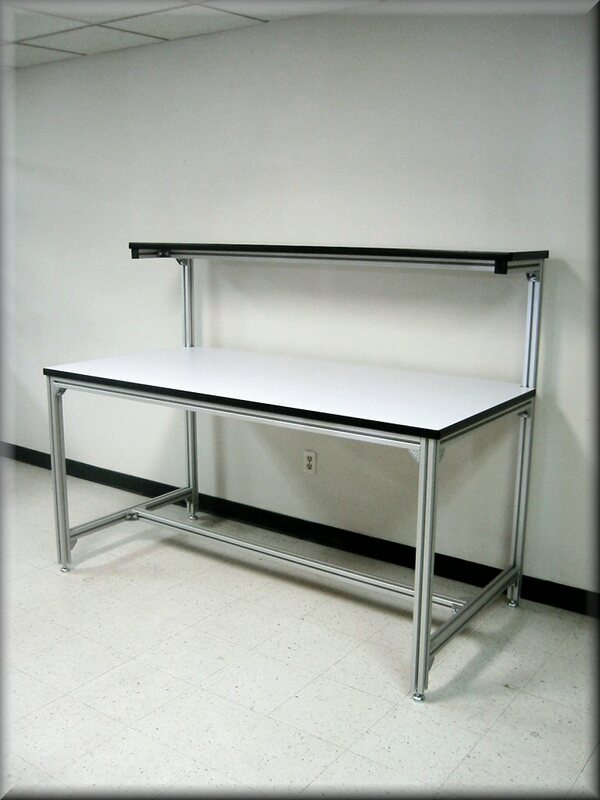 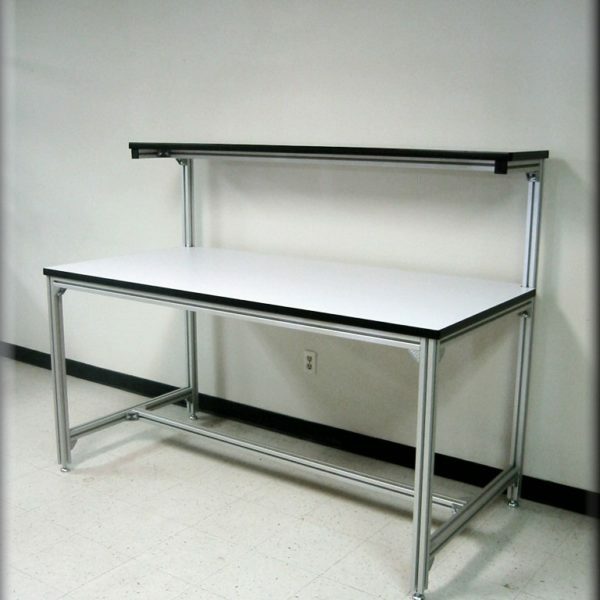 Home / Laboratory Furnishings / Laboratory Tables / Lab Workbenches / Table Model A-107P-AL-EXT-B – Aluminum Frame w/ Hydraulic Lift – 6″,8″,10″ & 12″ Lift Range – 1,000 lb cap. 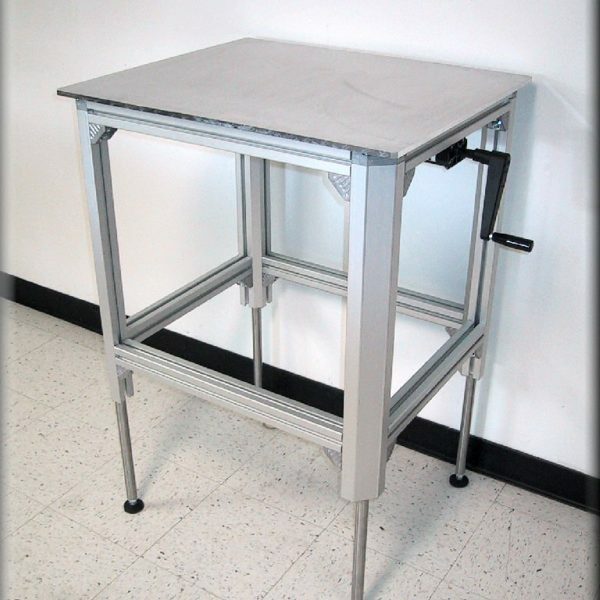 Designed for applications requiring non-ferrous frames. 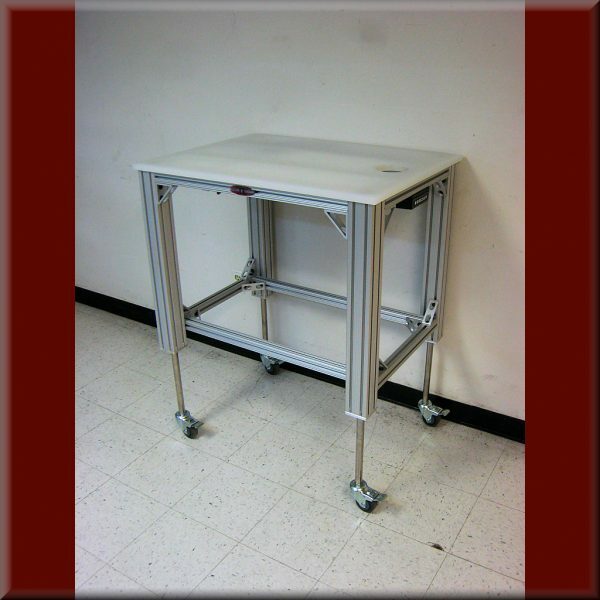 NOTE: Connecting hardware and leveling feet or casters will contain ferrous materials. 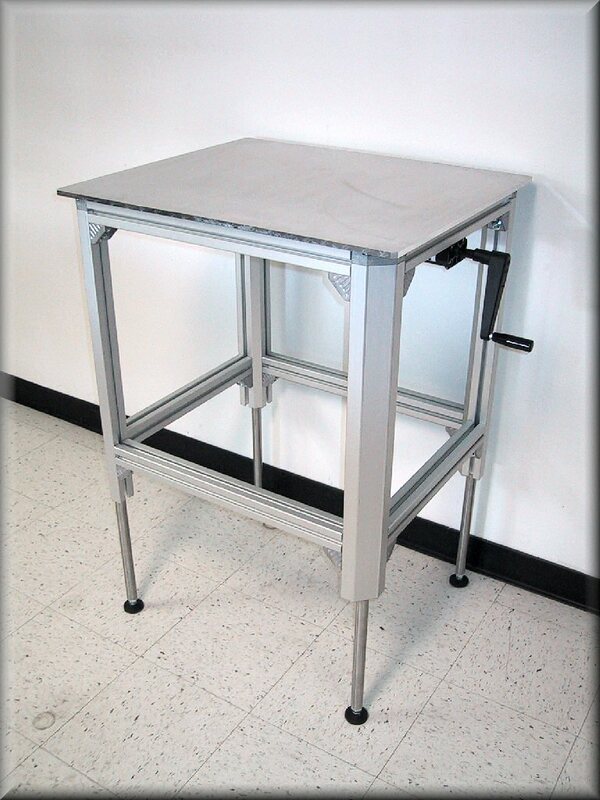 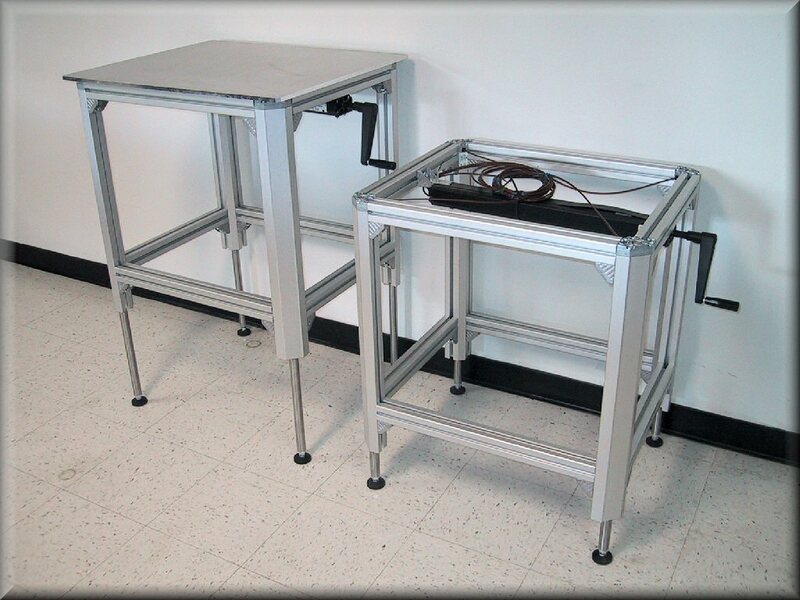 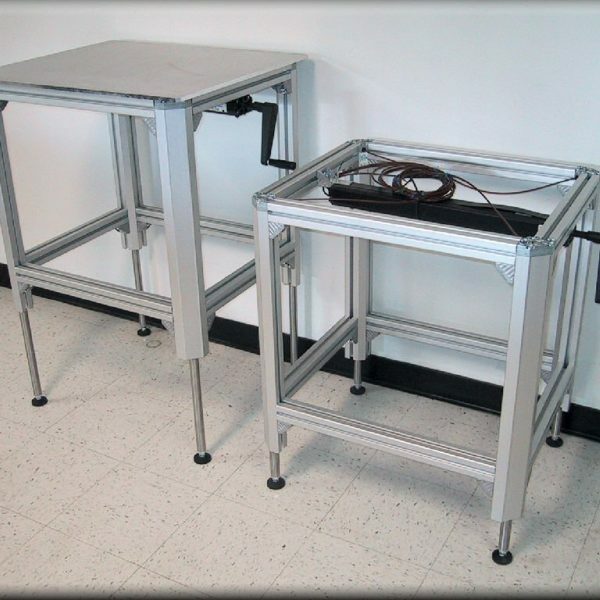 See our Wood Frame Tables if you need a completely Non-Ferrous table unit.